Spain announced the results of its fan-voted scifi awards Los Premios Ignotus over the weekend, and nabbing the prize for best Spanish novel was Alexander the Great and the Eagles of Rome by Javier Negrete. The Spanish author was previously a university professor of Greek, and his classical alternate history asks where Alexander the Great might have set his sights had he not been poisoned. We've got a rundown of the notable winners, including a cameo by Cormac McCarthy and the best Spanish comic.Here's hoping Negrete's novel is translated to English soon so it can reach a larger audience. A rising star in Spanish fantasy and science fiction, Negrete became well known for the heroic fantasy The Sword of Fire, that he wrote at the age of 17 and stashed in a drawer. His new novel Salamina will also dip into the historical reservoir, as it deals with the victory of a Greek naval fleet over the Persians in 480 B.C. Best comic was Alfredo Álamo-Fedde's Legión del Espacio, which you can read in English here. The 2004 Vernor Vinge novella, "The Cookie Monster," which can be read at in its original English at Analog, nabbed the translated short fiction prize (and also a Hugo Award in 2004). 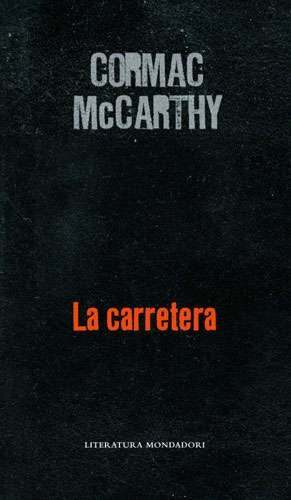 Luis Murilllo Fort's rendering of McCarthy's The Road was the best translation.